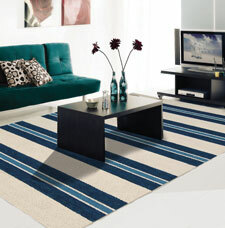 Oxford is a range of Hand-tufted modern rugs, which features horizontal striped designs in various colours. The rugs are superbly crafted and feel luxurious underfoot. In addition, each rug features a thick and dense pure wool looped-pile for an enhanced textured look.